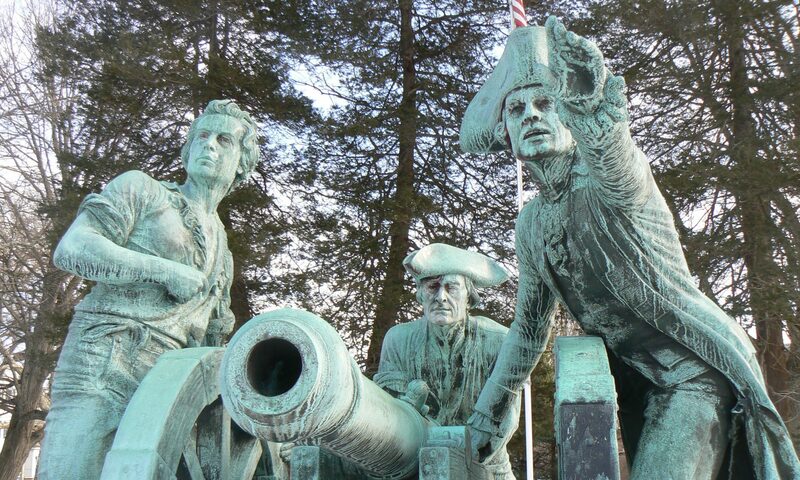 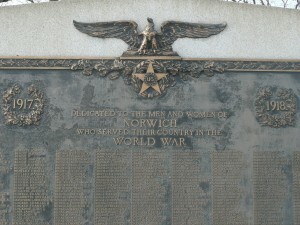 A small triangular park just north of the Soldiers’ Monument in Norwich features monuments to the major wars of the 20th Century as well as to an early American who helped settle the design of the U.S. Flag. 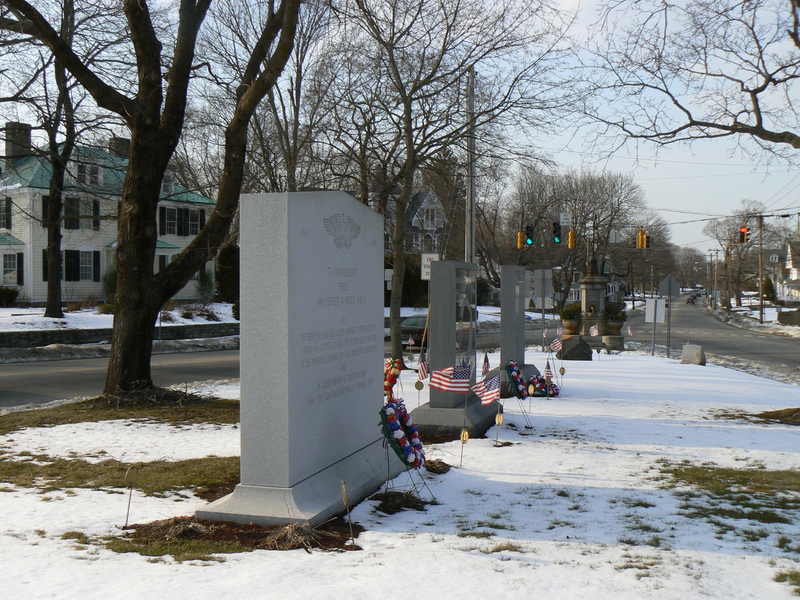 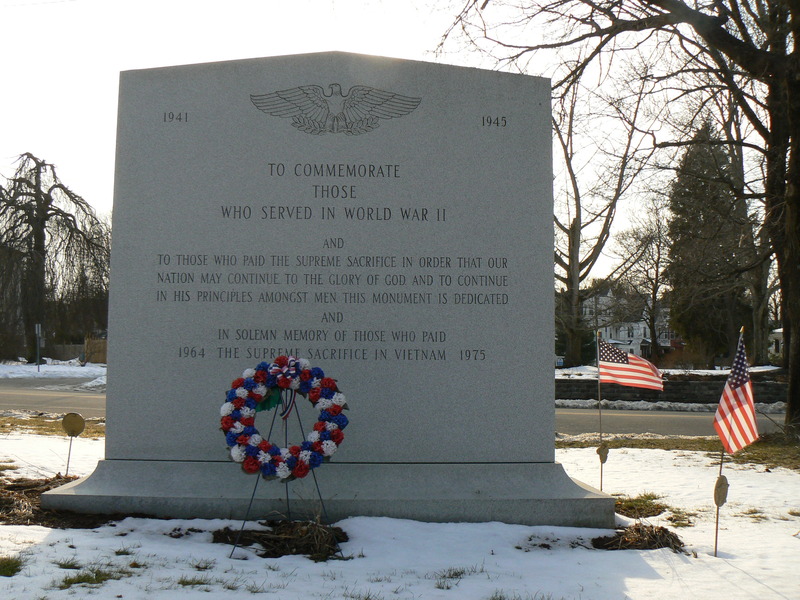 The area between Broadway and Washington Street, near the Chelsea Parade park, features a granite and bronze monument to the first World War, as well as granite monuments honoring those lost in World War II, Korea and Vietnam, as well as the Vietnam POWs/MIAs. 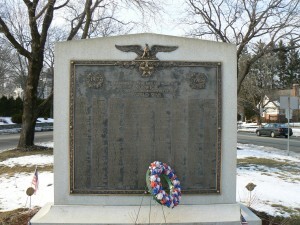 The south end of the park, along William Street, features a small granite marker bearing a dedication to those who were lost in “all wars, actions and conflicts.” The marker contains a small eternal flame enclosed in glass. 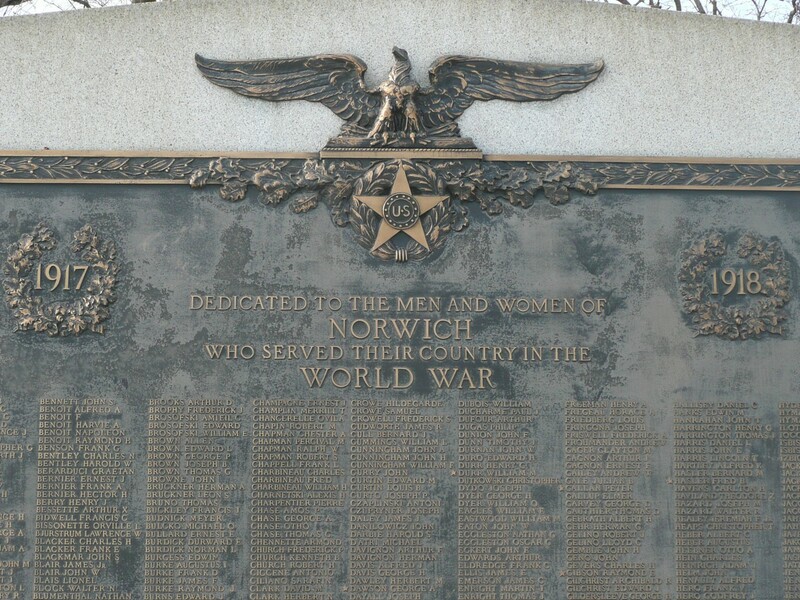 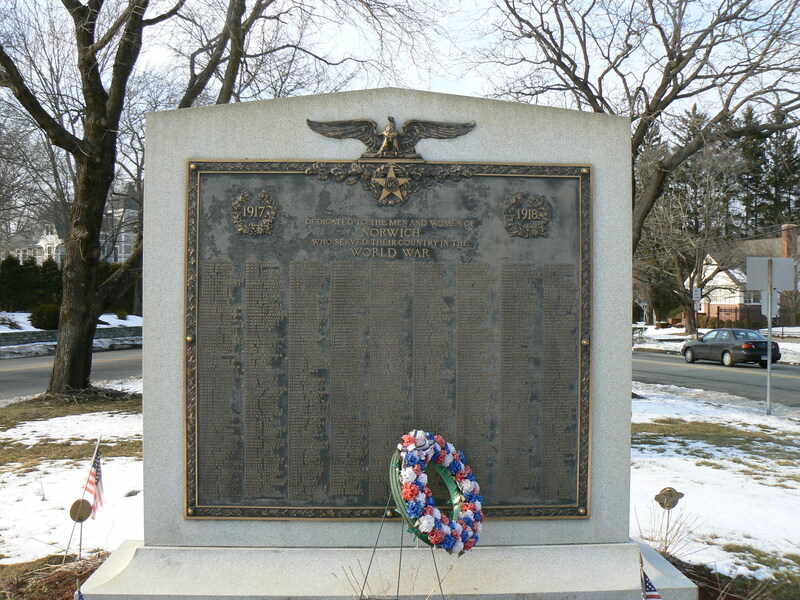 Both faces of the World War monument feature large bronze plaques topped by eagles and the U.S. star emblem, and bear the dedication “to the men and women of Norwich who served their country in the War War.” The years 1917 and 1918 appear within wreaths. 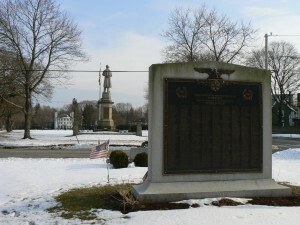 Both sides feature nine columns of local residents who served in the conflict, with stars indicating the names of residents who were killed. 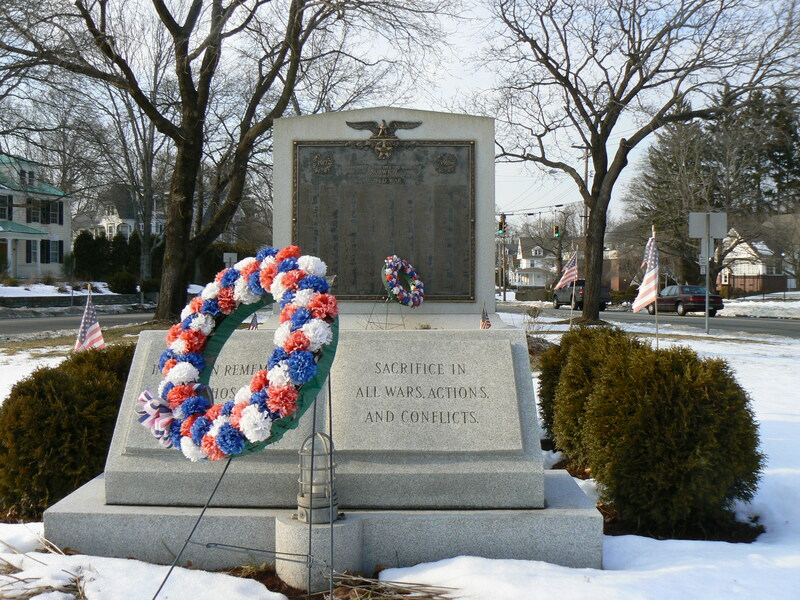 North of the World War monument is a granite monument honoring those lost in the Second World War on the east face (toward Broadway) and the Korean war on the west face (toward Washington Street). 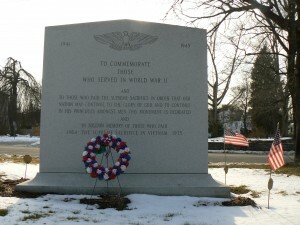 The World War II dedication reads: “To commemorate those who served in World War II and to those who paid the supreme sacrifice in order that our nation may continue to the glory of God and to continue in his principles amongst men this monument is dedicated and in solemn memory of those who paid the supreme sacrifice in Vietnam 1964 1975.” (The other side expresses a similar dedication to those who served in Korea). The prisoners of war and missing in action from Vietnam are honored in a dark granite monument north of the World War II monument that bears a polished POW/MIA logo. 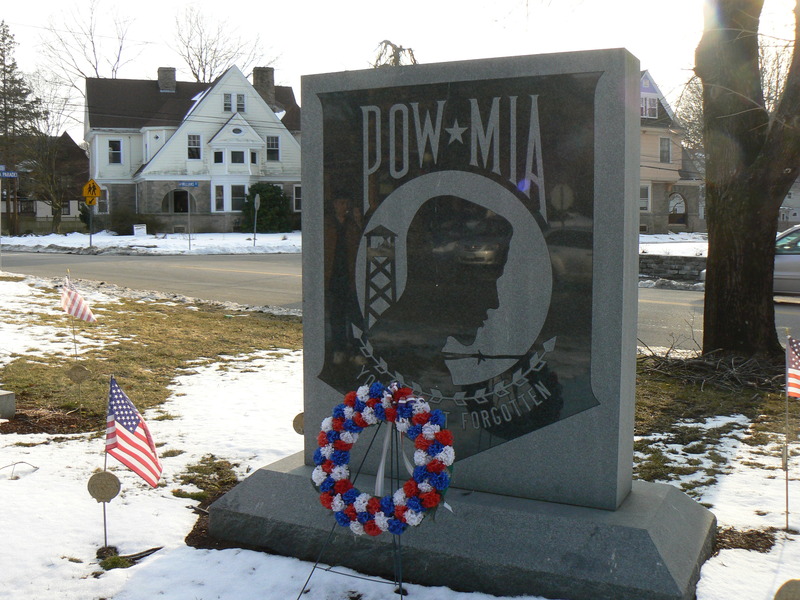 The POW/MIA logo is repeated in the Vietnam War monument, which stands to the immediate north. 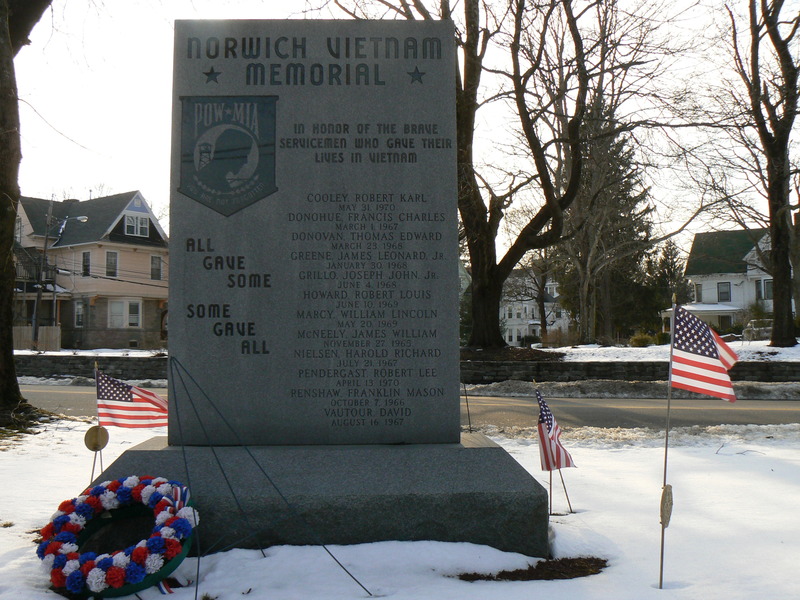 That monument bears the dedication “In honor of the brave servicemen who gave their lives in Vietnam” above a dozen names and dates of death. 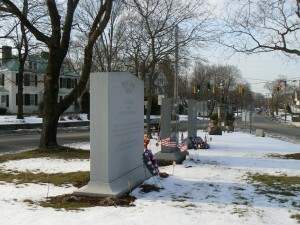 A nearby Freedom Tree is dedicated to a local service member captured or reported missing in 1973. 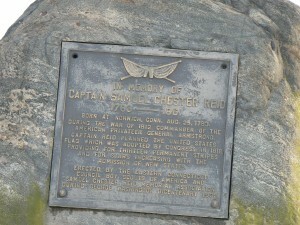 A small rock north of these monuments bears a plaque dedicated to Capt. 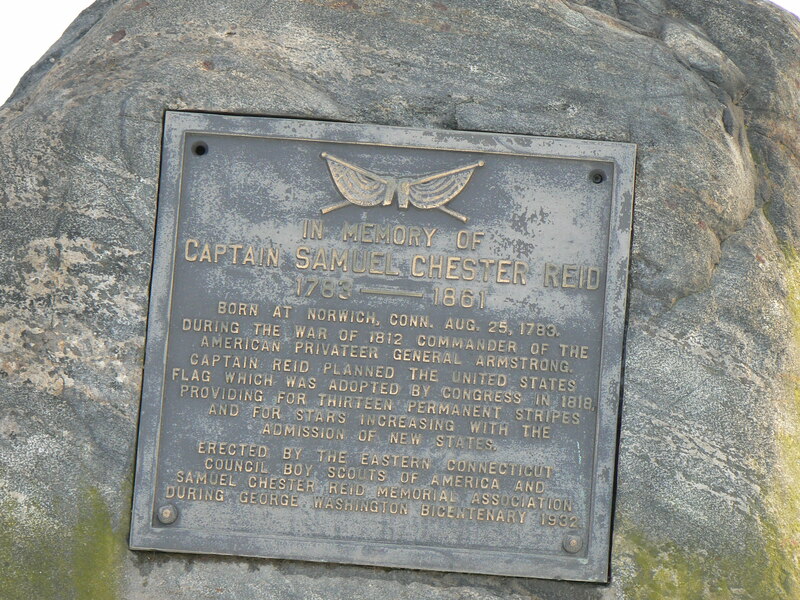 Samuel Chester Reid (1783-1861), a Norwich native who commanded a privateer ship during the War of 1812 and who helped design the 1818 version of the United States flag. 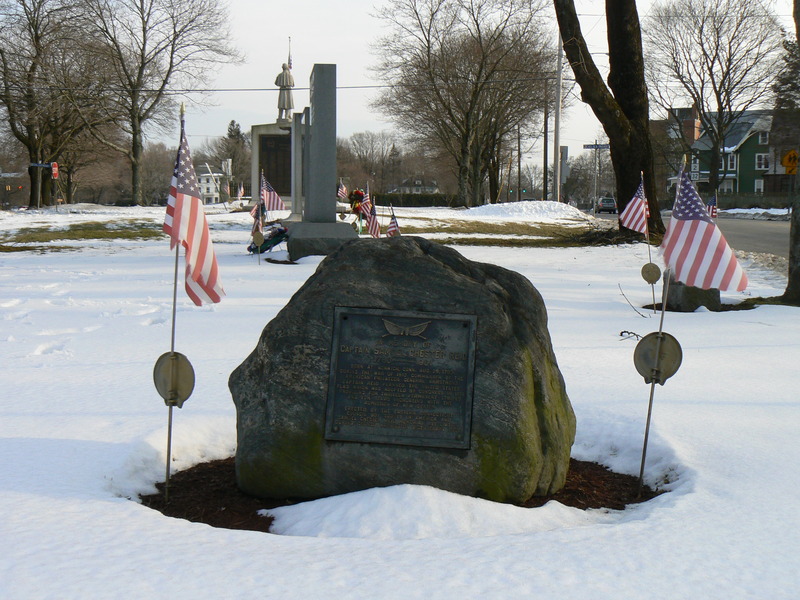 The 1818 flag established the convention of adding a star to represent each state (the nation had 20 states at the time, but the flag had 15 stars and 15 stripes) while retaining 13 stripes to represent the original colonies.